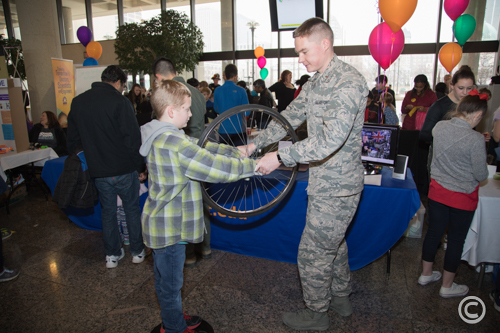 TechFest is a free family fun with science, technology, engineering and math (STEM). 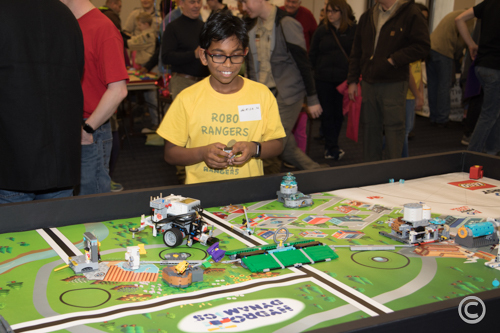 Participate in approximately 70 hands-on experiences with STEM exhibits, demonstrations and games. TechFest provides a source of motivation for students to study Science, Technology, Engineering, and Math (STEM) back to their normal school environment. TechFest generates an atmosphere of excitement and fun for K-12 youth, their parents, and grandparents. It promotes learning and discovery in virtually all STEM fields. TechFest will be held at Sinclair Community College in the David Ponitz Center, (Building 12), the National Unmanned Aerial systems training and Certification Center (Building 13)and the UAS Indoor Flying Pavilion (Building 18). See the map with travel directions between Bldgs. 12, 13 and 18. *Tip* The GPS address for the David Ponitz Center (Building 12) is 301 West Fourth Street, Dayton, Ohio 45402.